Admissions » Why St. Louis? Christ-centered education: Our education addresses the moral, emotional, physical, spiritual and intellectual development of each child. 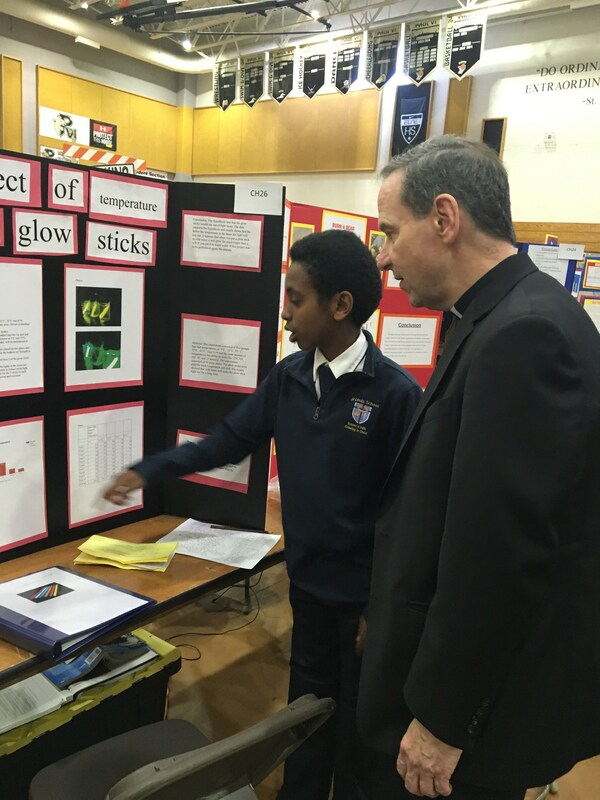 Assessment excellence: Our students have consistently scored above both the Diocesan and National averages in TerraNova standardized testing. Our students now take the Scantron Performance Series Assessment and continue to score above the Diocesan and National average as we assess student progress three times annually. Dedicated professional educators: Our educators pledge to provide a safe, Christ-centered, academically challenging and nurturing environment to help each child reach his or her full potential in Christ. 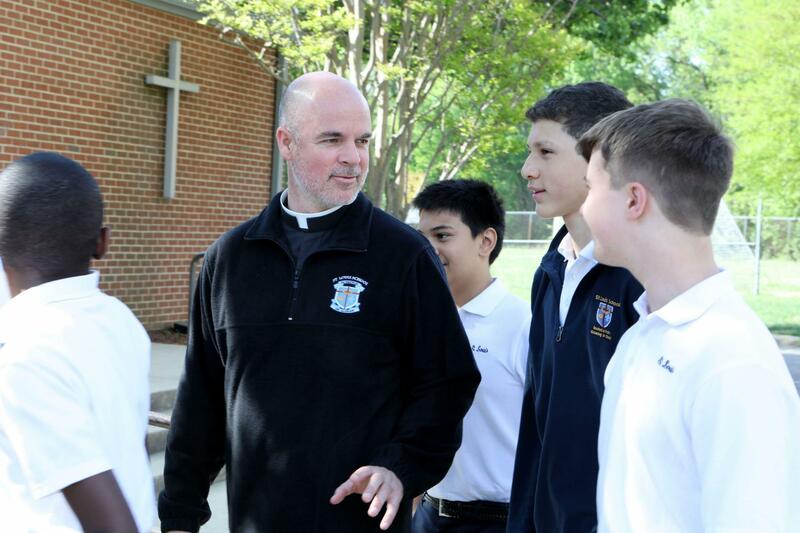 Spiritual life: We develop close personal relationships with God through worship, service and lived Gospel values, Students at St. Louis Catholic School learn Christian doctrine and Catholic values. They are taught traditional prayers of the Catholic Church. Liturgies, prayer services and community outreach are a frequent part of the religious curriculum. Our week begins together with a faith-centered morning assembly and ends together with Friday morning Mass. Enriching curriculum: Our curriculum addresses the needs of diverse learners through leveled and varied instruction, with the support of a full-time resource and enrichment program. The core curriculum at all grade levels is supplemented with Lab Learner, Technology, Art, Spanish, Music, Physical Education and Library. Interactive white boards or wall panels, printers and document cameras are available in every classroom to support and enhance all areas of the curriculum. Teachers have been equipped with new touchscreen all-in-one computer stations in the summer of 2017. A state-of-the-art computer lab is located in our school media center. Touchscreen Dell computers, iMacs and printing capabilities are available to the students and teachers. Grades 3-8 each have a mobile Chromebook cart as well as student computer work stations. All classrooms in grades K-3 have Tech tubs of Dell tablets for classroom instructions. Grades 4-8 have access to additional tablets for student use. Software support tools are available for students and teachers, including: Google Apps for Education accounts, IXL Math and Language, Discovery Educations Streaming and Tech Books, BrainPop, Kurzweil and PALS PreK-2, and HMH Math Inventory. Extracurricular activities: We have activities for all talents and interests including Band, Chorus, Scouts, Basketball, Track & Cross Country, Odyssey of the Mind, Student Council, National Junior Honor Society, Drama and Yearbook amongst many. Diversity: Students of all backgrounds and faiths join to experience a comprehensive education of mind, heart and spirit. We learn from each other as one body in Christ. Community: Our school community is a united family of faculty, staff, students and parents all working together to provide a special balance between worship, academics, athletics, arts and service—in an environment where trust and support are paramount. Enthusiastic Parent Teacher Organization: St. Louis Catholic School parents take an active part in their child’s education, and you’ll likely find them worshiping along side their children at liturgies, assisting with school events, chaperoning field trips, helping with art projects, and even being guest speakers in the classrooms. Many St. Louis Catholic School parents work countless volunteer hours in our classrooms, in the cafeteria, at school events, as coaches of sports teams and leaders of scouts. Programs that fit your schedule: Our full-day Kindergarten and Extended Day program keep students engaged and learning throughout the day from as early as 6:30 a.m. until as late at 6:00 p.m.